After poking around the Sawtooth area yesterday, I came across this chute and decided to give it a go. 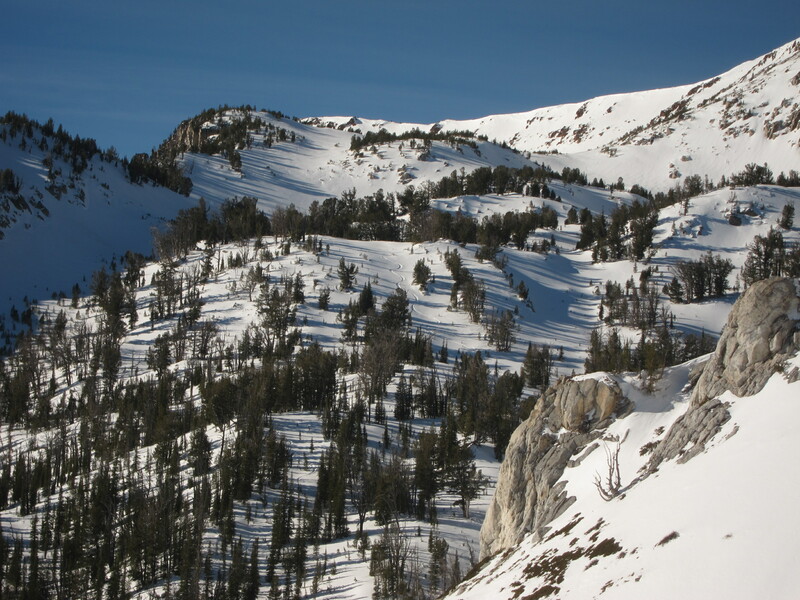 The approach to Sawtooth isn’t all that difficult, just frustrating. 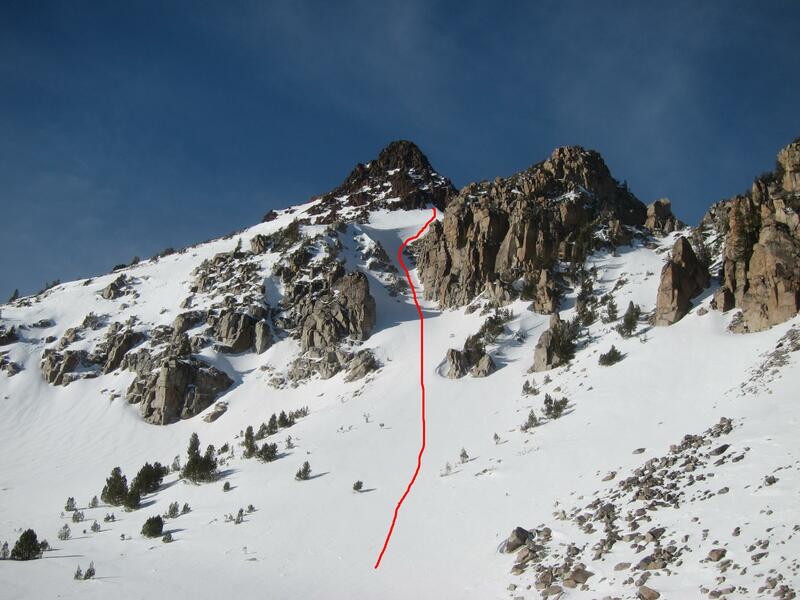 After climbing 2000 vertical feet with hiking boots, then another 700 feet with ski boots, I was finally able to skin the rest of the way to the base of the couloir. I’m still amazed how long powder will last in this area. We’ve had an extended period of sunshine and warm temps, but in the shaded areas it’s still nice and fluffy. 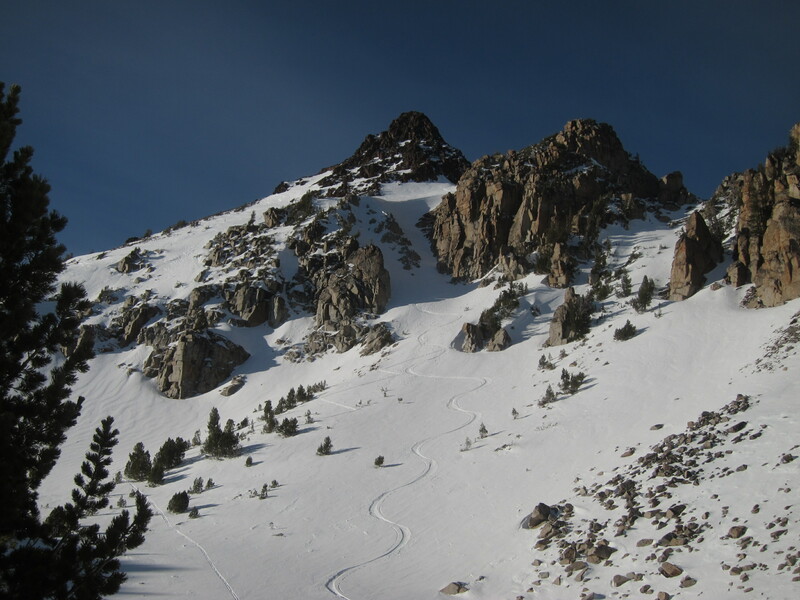 The snow in the couloir was excellent save for a firm section in the middle that never sees the sun. The descent back to my hiking boots yielded more fluffy powder turns and I couldn’t help but smile on the hike down, despite all the low hanging branches grabbing my skis. 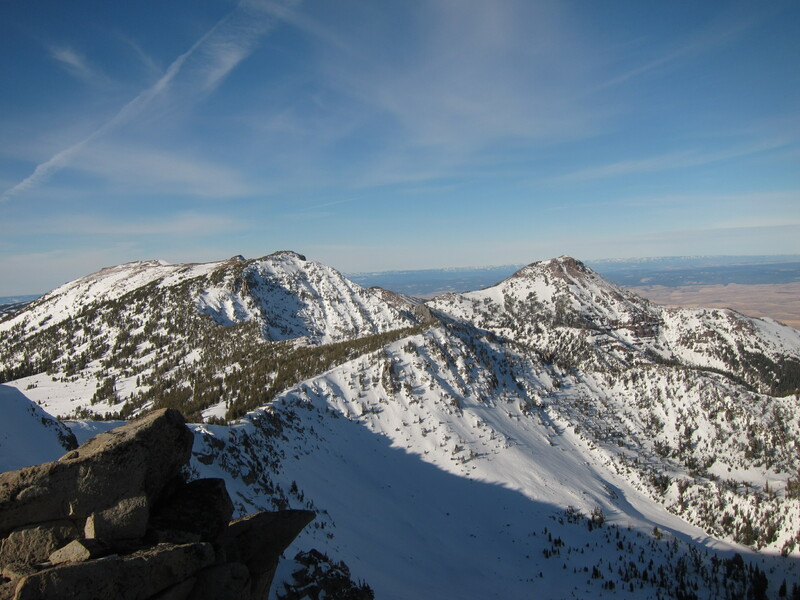 This entry was posted in Backcountry Skiing and tagged Eagle Cap Wilderness, Sawtooth Peak, Wallowa Mountains by Lee. Bookmark the permalink.